McKee's 37 Sio2 Auto Wash 128 oz. McKee's 37 Sio2 Auto Wash, 8 oz. The best wash for a coated vehicle! 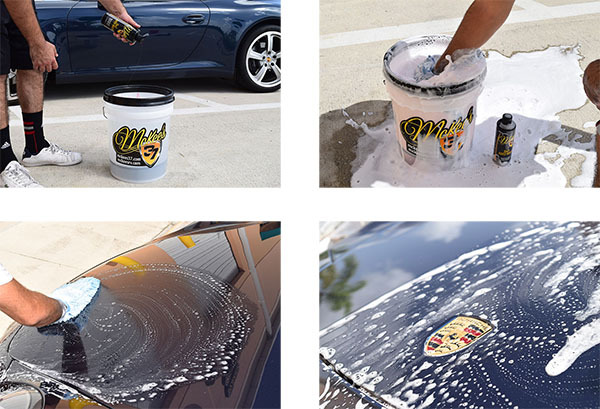 McKee's 37 Sio2 Auto Wash was formulated for the unique cleaning requirements of vehicles that are coated with a paint, wheel, or glass coating. This thick, luxurious shampoo creates mountains of foamy suds that encapsulate dirt and grit particles, leaving behind an extremely glossy finish! You can confidently use McKee's 37 Sio2 Auto Wash in direct sun because this pH-balanced, non-alkaline shampoo contains water-softeners that reduce spotting. Works equally well on non-coated vehicles as a gloss-enhancing auto wash. Your vehicle has never looked this good after a simple wash! Paint Coatings are more prevalent than ever, because they outlast a traditional car wax while providing far superior protection against the damaging effects that a daily driver is exposed to. Our Paint Coating, for example, forms a thick shell of protection that lasts well over two years; it's so easy to use that you can apply it in your garage ' professional experience not required! Paint Coatings exhibit very unique characteristics, which is why we developed a premium auto wash designed to maintain the glassy shell of protection. McKee's 37 Sio2 Auto Wash gently cleanses your vehicle of dirt, grime, and road film without compromising the protection or water beading of your paint coating. In fact, this sio2-enhanced formula fills in any microscopic fractures in the coating, restoring the gloss without altering the surface tension. Even though modern-day paint coatings exhibit a self-cleaning affect, you still need to properly maintain them using a manufacturer-approved auto wash! Stop worrying about water spots! 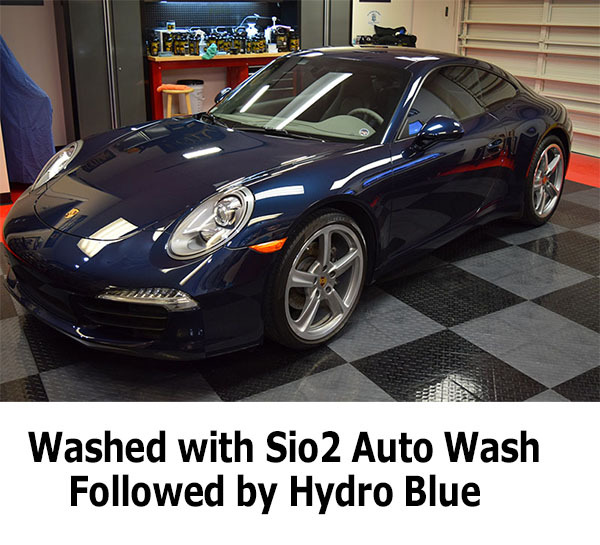 Instead of washing your vehicle one panel at a time and then rinsing it off, wash the ENTIRE vehicle using Sio2 Auto Wash and THEN perform your last and final rinse. This is made possible thanks to the non-alkaline, pH-balanced formula. Water, not auto wash, creates water spots! WARNING! Don't try this with any other auto wash except McKee's 37 Sio2 Auto Wash! McKee's 37 Sio2 Auto Wash is extremely concentrated. Just an ounce or two of this thick, watermelon-scented shampoo creates mounds of thick, frothy suds. Awesome! 5 Foams up great in the foam canon. Super slick & cleans great. Easy way to help maintain the coating. Its so nice to able to scrub the whole car then rinse the whole car, no more one panel at at time. Great wash 5 Great wash that leaves the surface clean and glossy. Does exactly what it says it does in not causing water spots if it dries on the paint. Perfect soap to maintain a ceramic coating. Sio2 auto wash shampoo 5 Works as advertised. It's great not having to run around and worry about water spots! Rinses nice and clean.